It is a great reminder. I love this quote too! I love this quote and perspective! 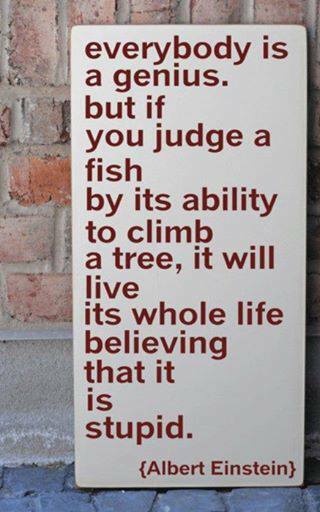 But the fish who *can* climb a tree is a SUPER-genius.